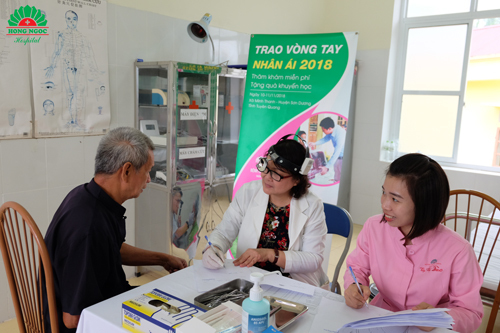 On two days, from January 11nd to January 12nd, 2017, Hong Ngoc General Hospital’s doctors visited poor families those children are studying at Tan Lap primary and secondary school in Mai Lap, Cho Moi, Bac Can Province to provide them free health-checkup and necessary medicine. In the poor Mai Lap commune, many children and their families are living in hard conditions, having no warm clothes to wear during winter. The health care system there is also under standards with outdate facilities and lack of medicine. Understanding this situation, Hong Ngoc General Hospital chose this commune to be the next place to hold the Healing Hands 2017 program. 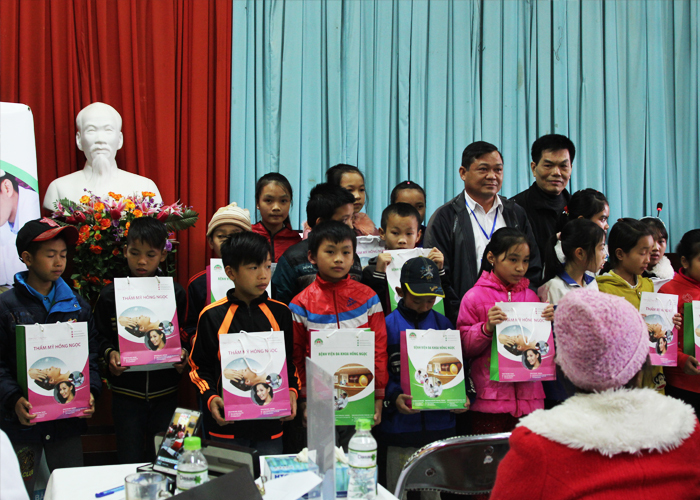 During the trip, representatives of Hong Ngoc General Hospital offered the poor locals 700 presents and 200 scholarships for students at Tan Lap school. 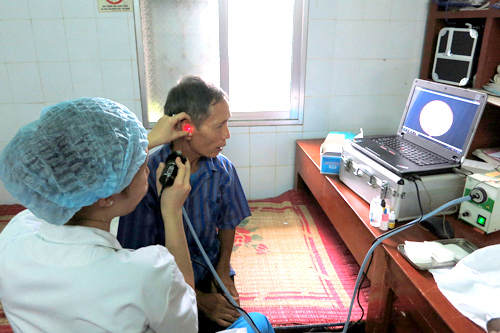 More than 500 people in Mai Lap Commune were examined and provided with free medicine for internal treatment, ear-nose-throat diseases, pediatrics, and eyes issues. With these little presents, through the Healing Hands 2017 program, Hong Ngoc General Hospital would like to contribute small changes to improve the local living quality, wishing for a brighter future to come to children and their family in Mai Lap, Cho Moi, Bac Can. 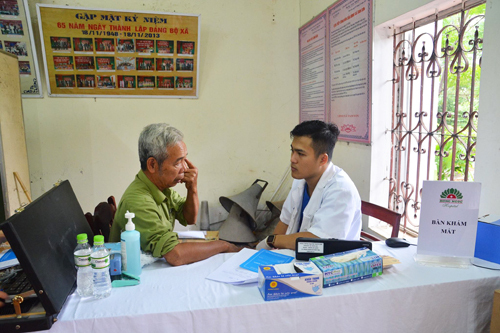 On 23rd May 2013, Hong Ngoc General Hospita and ENT (eye-nose-throat) specialist from Christian Changhua Hospital have examined and give free medicine for nearly 250 poor people in An Phu Commune.